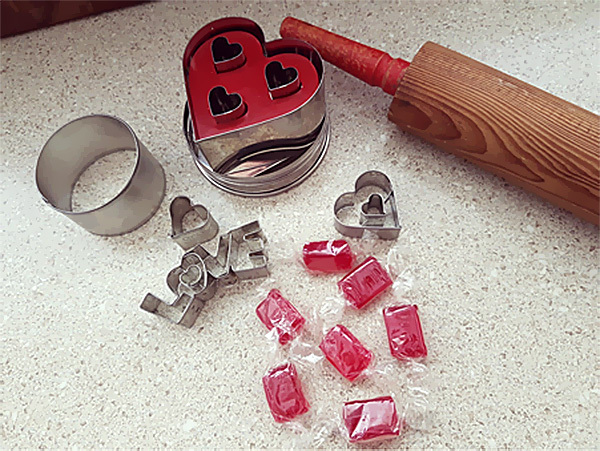 Blog - Cookie Cutter Shop Australia – tagged "Recipe"
Cream the butter and sugar. Add the egg and vanilla and mix well. Add the water and then flour and mix until the dough comes together. Knead dough lightly on bench until you have a smooth dough. If it is not coming together easily add a little more water. If it is too sticky use a little more flour on your bench to knead the dough. Pop all ingredients in and mix on speed 5 for 30 seconds. Roll the dough out between two sheets of baking paper (or silicone mats) to between 3-4mm thick (the thinner you roll them the more crisp the cookies with be when cooked) and refrigerate for at least an hour. 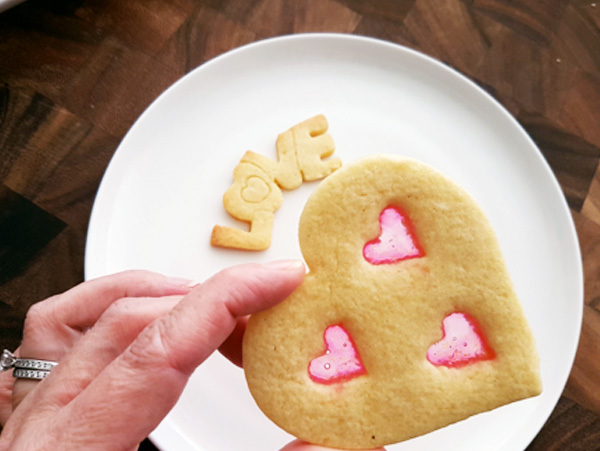 Cut out the cookie shapes and transfer them to a cookie sheet lined with baking paper. Pop in the fridge to chill while you prepare the lollies. 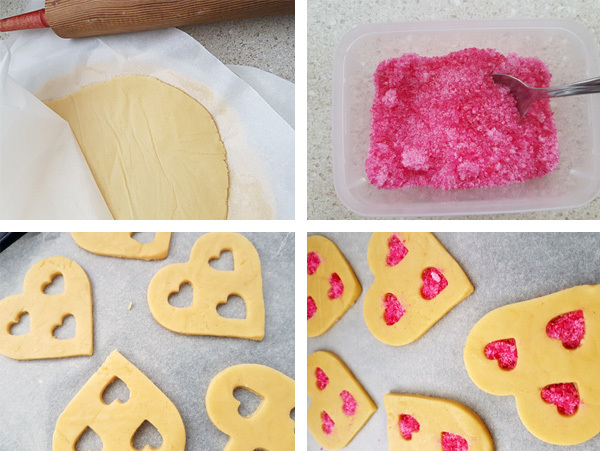 Carefully sprinkle some of the crushed lollies inside the cookie cutouts. I found the more lollies that were in there the better but be careful not to spill too much onto the sides of the cutouts as they will seep in a bit. They will still look great though! Patience is key at this point. Bake in preheated oven at about 160 degrees celcius for approximately 8-10 minutes depending on the size of your cookies. Leave them to cool on the baking sheet so the lolly centres can set properly. These were really easy to make. The only thing I would do differently next time is to add more crushed lollies into the cutouts as the ones with more in them came out much nicer. My daughter Emmy and I had fun this week practicing some Christmas baking. We used Donna Hay's chocolate cookie dough recipe and our 10.5cm deer with antlers cookie cutter. The reindeer cookie cutter has quite detailed small features in the antlers and also embossed leg details. I found the key to cutting these cookies out was rolling the dough to about 4mm thick and CHILL IT. Chilling it made all the difference. Explaining to Emmy (who's 3) that we had to wait for the dough to be cold enough was the hardest part! Next time I will make the dough the night before, roll it out and chill in the fridge overnight between two sheets of baking paper. I used a toothpick to help ease out the tricky parts of the cookies and the rest of the cookie came away easily. I also chilled in between each re-rolling of the dough and the longer it chilled the easier it was to work with. Bake the cookies at 160 degrees celcius for 8-10 minutes. Remove from oven and wait 5 minutes before transferring to a cooling rack to cool completely. We melted some dark chocolate in the microwave and dipped the reindeer legs in, popped onto baking paper and sprinkled with sea salt flakes. Cute and delicious! We also made mini 3D gingerbread houses with the same dough and topped them with melted chocolate and salt flakes. Salted chocolate mini houses! Yum! How long has it been since Christmas?? It is much closer to next Christmas than last and I have only just made Donna Hay's Spiced Vanilla Reindeers from last year's donna hay celebrate magazine. Better late than never hey! 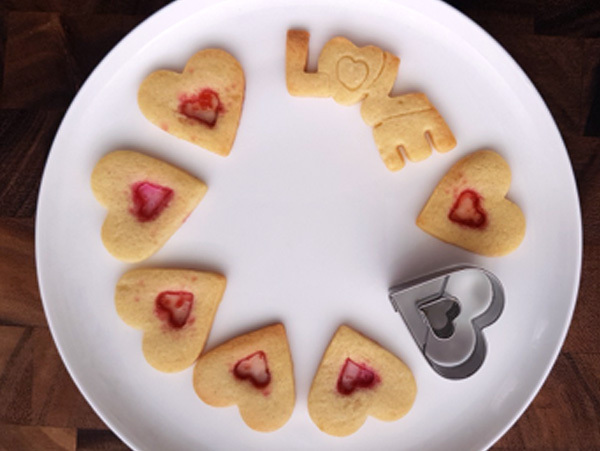 If you read my blog you might remember how excited I was when they used our baby deer cookie cutter to make these gorgeous cookies. I made one slight change to the recipe and substituted the flour with wholemeal spelt flour. The little reindeer's legs are quite fine so the chilling of the dough is essential to be able to cut them out neatly. Place the butter and sugar in the bowl of an electric mixer and beat for 6-8 minutes or until pale and creamy. Add the egg and vanilla and beat for a further 2-3 minutes or until well combined. Add the flour, cinnamon and mixed spice and beat until the mixture just comes together to form a smooth dough. Roll the dough out between two sheets of baking paper to 5mm thick and refrigerate for 30 minutes or until firm. Preheat the oven to 160°C. Using a 7cm deer shaped cookie cutter, cut out 32 shapes, re-rolling the dough as necessary. Place on 2 large lightly greased baking trays lined with non-stick baking paper and bake for 8-10 minutes or until golden. Allow to cool for a few minutes before transferring to a wire rack to cool completely. For the icing, mix to combine the icing sugar and water until smooth. Place in a piping bag fitted with a 2mm nozzle and pipe a nose and three tail spots on each cookie to decorate. Makes 32. Delicious served with a piping hot cup of tea! YUMMY!